SEERING REVELATIONS—One of the benefits of making long-range predictions for a living is simply there are few upfront costs. No licenses. No Editors to please. 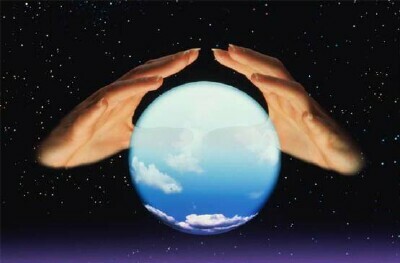 No inventories to purchase, except a bottle of Windex to clean crystal ball. Our guest seer, NostraThomas (exclusive to this blog) only predicts the future in decasyllabic quatrain, a skill he learned writing fortune cookie fortunes in the mid 60s. CALLING ALL SEERS/No experienced needed. To be our seer this year and next? SPORTS/Who will win Super Bowl? LEGISLATION/ 2nd Amendment will be amended. FIRST U.S. WOMAN PRESIDENT will be elected in 2020.
Who hired [the] Patsy in the window. COMET ENDS THE WORLD will occur in the 23rd Century. The Fates take aim from the dark. SAN DIEGO IS BEER TOWN USA! ARCHIVE / AND WHOSE PRESIDENT ARE YOU?